Daios Cove Luxury Resort & Villas, Crete, Offers New Ultra Diamond Honeymoon Package. Daios Cove Luxury Resort & Villas, the privately owned, five-star beach resort located on an unspoiled hillside in North East Crete, is delighted to launch its Ultra Diamond Honeymoon Package. The indulgent package, put together by the resort’s resident honeymoon planner, will spoil newlyweds with six nights in a One-Bedroom Villa, a once-in-a-lifetime helicopter day trip to Santorini, a candlelit set menu dinner, spa access and more. After arriving at the resort in style via luxury transfer in a Mercedes Benz, couples will check-in to their private villa. 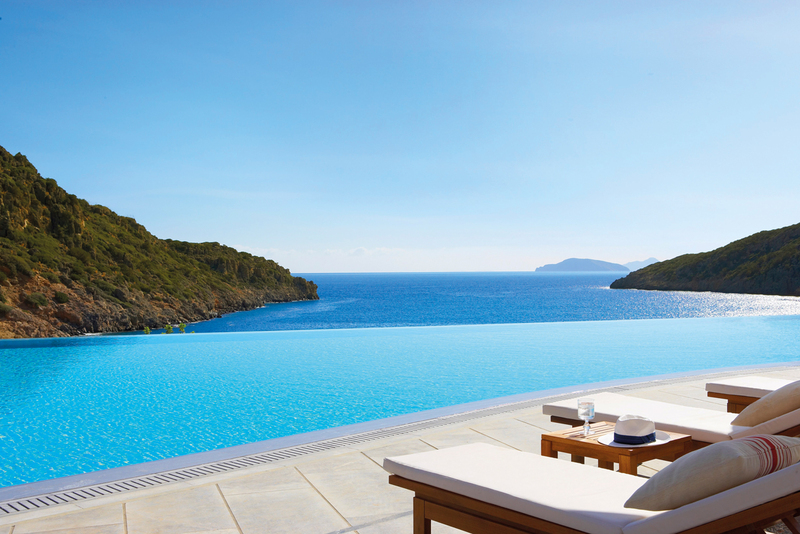 Complete with its very own private infinity pool overlooking the glittering cove below, it provides the ultimate secluded bolthole for newlyweds to enjoy their first few days of wedded bliss. Five-star room service will be provided around the clock, with couples treated to their breakfast in bed of choice, as well as a romantic turndown service with champagne and strawberries. 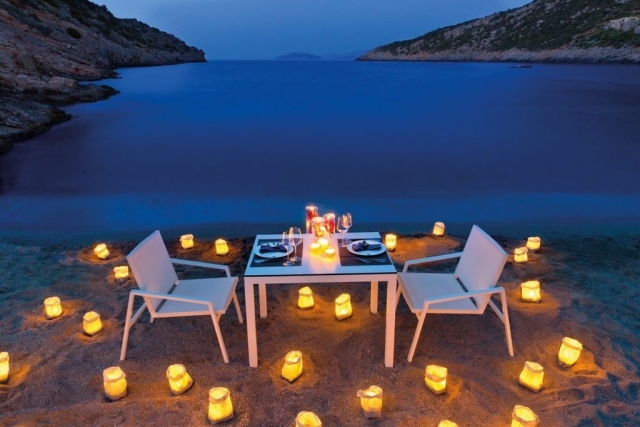 A candle-lit set menu dinner for two is part of the package, which can be enjoyed beachside or as an intimate in-villa experience, with an additional dinner at one of the resorts three superb restaurants also included. Once honeymooners manage to tear themselves away from this clifftop paradise, they will be whisked to the picturesque Santorini for a day excursion via helicopter. They will be picked up from the hotel’s very own helipad, flown over to the volcanic island and given a birds-eye tour of the iconic landscape and volcano, before being deposited at Santorini’s best restaurant for a champagne lunch. Newlyweds will also benefit from an unlimited two-day pass to the resort’s 2,500 square metre Daios Wellness & Spa by Anne Semonin, where they can relax in its saunas, steam baths, waterfalls and the indoor heated pool. One hour’s use of the private Spa Suite – a luxurious suite complete with champagne, personal sauna, steam room, jacuzzi and loungers – is included for all honeymooners, ensuring they return home completely relaxed and ready to enjoy their new life together. Daios Cove is a five-star beach resort with villas located in the North-East part of Crete that offers an extensive selection of restaurants serving-up gourmet Mediterranean cuisine, a water-sport and diving centre, two tennis courts, a kids’ club and a state-of-the art spa. 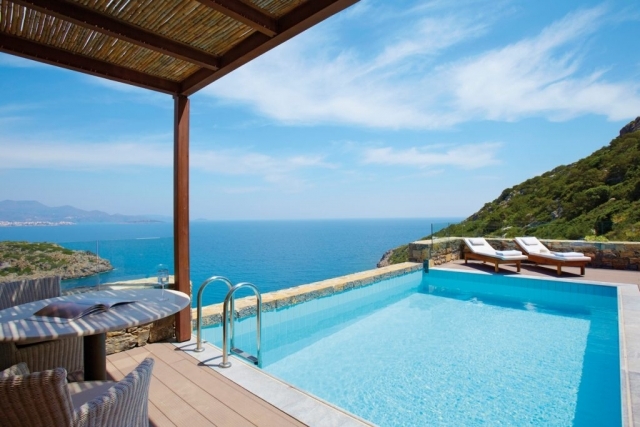 The ‘Ultra Diamond Honeymoon Package’ at Daios Cove, including six-nights bed and breakfast in a One-Bedroom Villa, helicopter day trip to Santorini, return VIP airport transfers, one private set menu dinner, one resort dinner and spa access, starts at €11,256 for two. 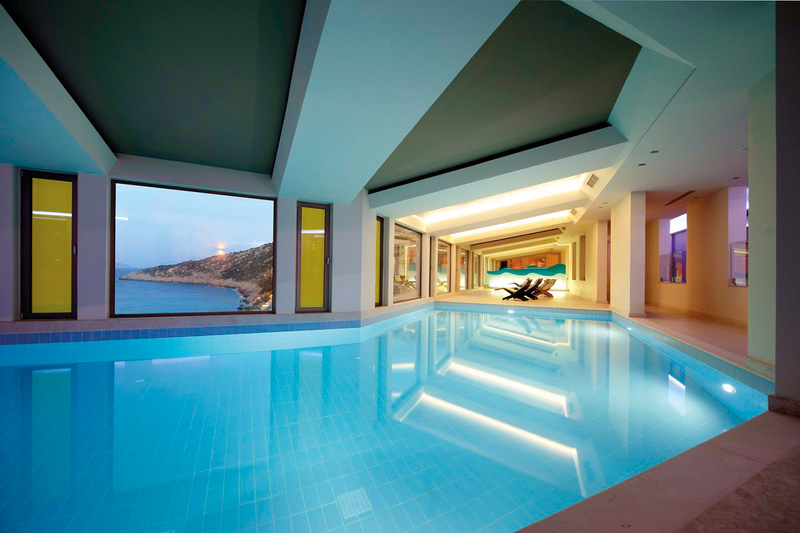 To book, contact your-honeymoon@daioscove.com. 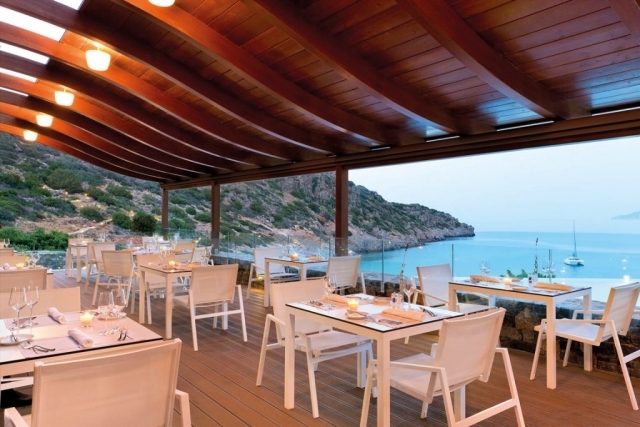 Nightly rates at Daios Cove are from €429 in a Deluxe Sea View Room. To book visit: daioscove.com or call +44 20 3807 1418.